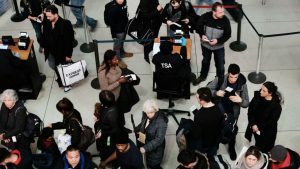 Passenger carries firearm through TSA screening; is security breach due to U.S. shutdown? As per Transportation Security Administration (TSA) a passenger boarded flight with a firearm from Atlanta Hartsfield-Jackson International Airport and flew to Tokyo Narita International Airport on Jan. 3, 2019. TSA added that the national unscheduled absence rate of TSA staff on Thursday, January 3, 2019, was 4.8 per cent as compared to 6.3 per cent last year, Thursday, January 4, 2018. This shows that the national call out rate was higher a year ago than this year around that date. TSA screeners have struggled to detect weapons even in the absence of a shutdown.